Today was our ski-free day, a day for exploring Aizu Wakamatsu city. Known as the city of warriors, it goes down in history as a place of heroism and tragedy. The last stand of the warrior known as ‘Japan’s Last Samurai’ took place here, which makes it a poignant place in Japan’s history. To be immersed in that chapter from the past is a perfectly good reason to come and stay here. But more prosaically, it’s just a 30 minute drive from here to Alts Bandai, and an hour to Nekoma. So even if you only have skiing on your mind, it’s a pretty irresistible base. As a sightseer, you will probably start off with Tsuruga Castle. The original castle was constructed 630 years ago, and lasted until its bombardment in the civil war during the latter half of the Edo period, the last time wars were fought by samurai. Although finally defeated, the castle and its warriors earned a glorious kind of immortality through their final brave attacks. They withstood an entire month under siege, facing weapons of immense destructive power, never before seen by these ancient warriors. Now, the replica castle holds all sorts of displays and documents, that bring to life the story of what happened here, floor after floor, until you reach the apex. From the very top of the tower, we caught our breath and viewed the city of Aizu spread out below us. It’s not quite skiing, but a wonderful feeling, high above the world. After this glorious place, we then wandered down to the modest thatched tea ceremony hut, built centuries ago by the son of Sen no Rikyu, the renowned master and initiator of the Japanese tea ceremony. 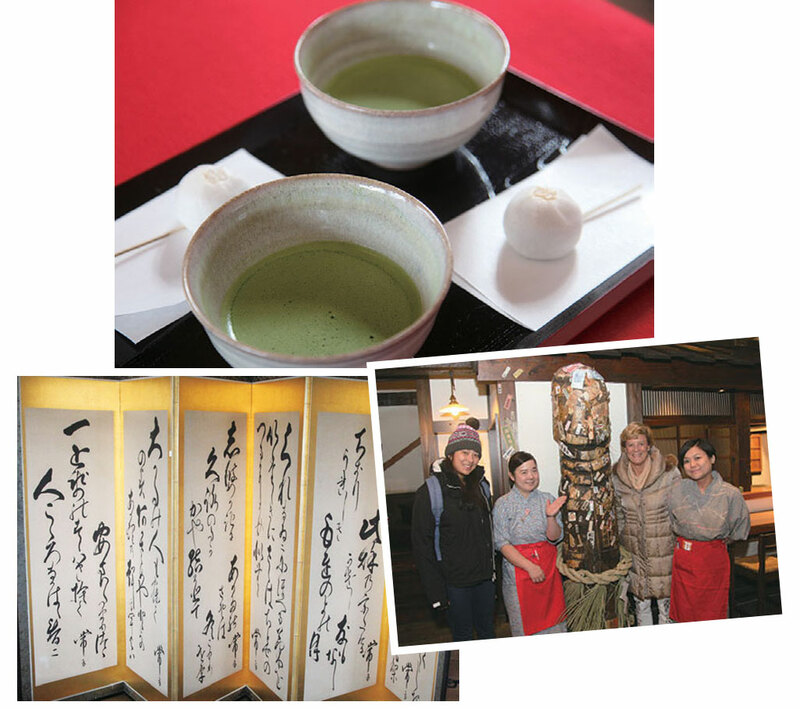 Here, we partook of matcha green tea, served in the ritual way, with traditional Japanese sweets. The ladies were especially appreciative of those sweets, all elaborate, pretty and sugary-sweet. Melissa seemed so taken by the whole experience that she purchased a set of the special tea ceremony equipment – a pottery bowl, bamboo whisk, and so on – so she could bring this special feeling back with her to her life in Sydney. There aren’t usually what you would call cities around ski areas in this country, so that limits how you can keep entertained and occupied once you’re done skiing for the day. But if you stay in Aizu Wakamatsu, you really won’t run out of attractions and distractions. 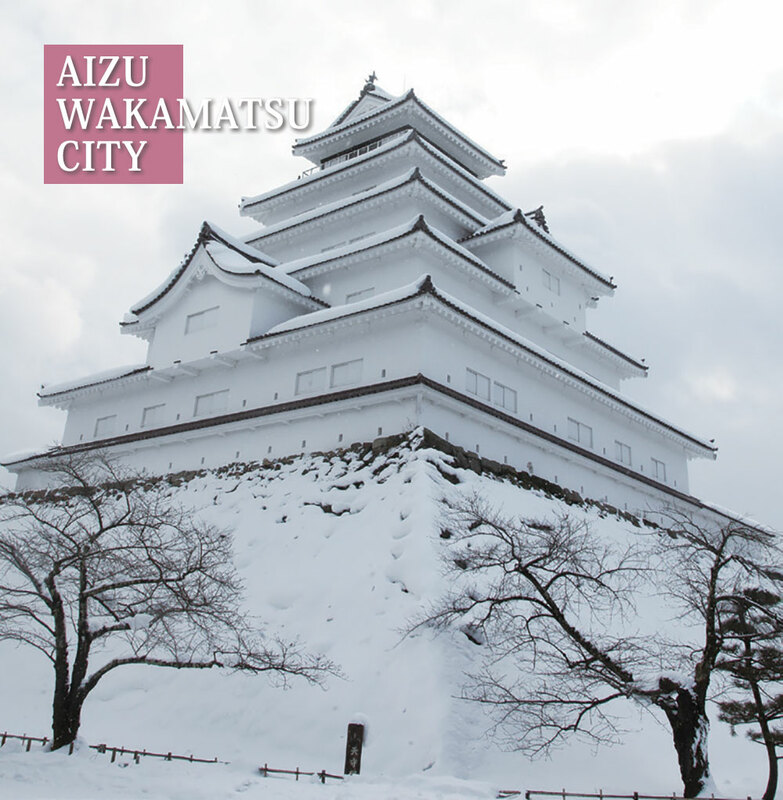 The city of Aizu was built up on what was once ancient swampland. Draining the wetlands and setting the nutrient-rich soil aside created extremely fertile farmlands, which is why the rice grown here so delicious. The difference between this juicy, flavourful rice and ordinary rice is so distinctive that you will immediately realise when you take your first bite. The snow that piles up in the surrounding mountains also has an impact on making things here delicious. It seeps into the ground as meltwater, gets purified as it filters through the rock, then lies in the ground as clear, cold spring water. This pure water and lush rice go together to make astonishingly good Japanese sake. 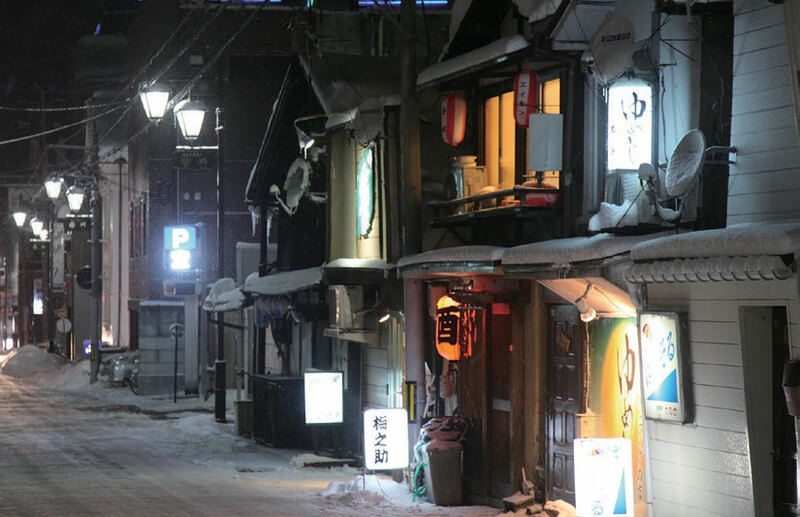 The town is full of traditional izakayas, quaint eatery-bars, as well as modern bars and restaurants of all sorts. After hearing stories of the marvels of the sake of this area, we went over to the longestablished sake brewery, Suehiro Shuzo, to see if the legends were true. They showed us the careful process of making perfect sake, not dramatically different from centuries ago. At the tasting corner we refined our powers of discrimination, and finally chose some favourites to buy and take home. On the wall were photographs and calligraphy by the world-renowned doctor and humanist, Hideyo Noguchi. Dr Noguchi had visited this place early last century, and the ladies of our group entertained themselves by photographing each other in the same hall, same angle and pose as that of Dr Noguchi. In lands with pure water, good sake, and spectacular scenery in all seasons, food always tastes good. As Aizu is an isolated mountain city, deeply inland, the unique local cuisine has dishes that have been passed down with their special Aizu character intact. Herring pickled in Japanese pepper, stewed dried cod, and kozuyu, a clear broth served on auspicious occasions are exclusive to Aizu. Wappameshi, is a dish of steamed rice scattered with other tasty morsels and seasonings, also unique to this region. Aizu is famous for its handmade buckwheat noodles, or soba. Connoisseurs of soba flock to the many specialty restaurants of this seemingly simple dish, and marvel at its subtlety. It was really hard to tear ourselves away from the charms of Aizu Wakamatsu. The night of eating local food and the amazing sake just stretched out longer and longer, as we watched the snow pile up outside and watched everything become indescribably lovely as the sake took effect. There are many more ski areas in Aizu than the ones we have introduced here, all special in their own way. Get yourselves a base in lovely Aizu Wakamatsu, and go explore them all.